Whether you have a rental property that needs a new tenant or are moving home, it’s a good idea to give your house a deep clean. However, this can be a tricky job, and sometimes it’s hard to know where to start. We caught up with Rebecca Mead, a residential cleaning expert, for her top tips on deep cleaning your home. 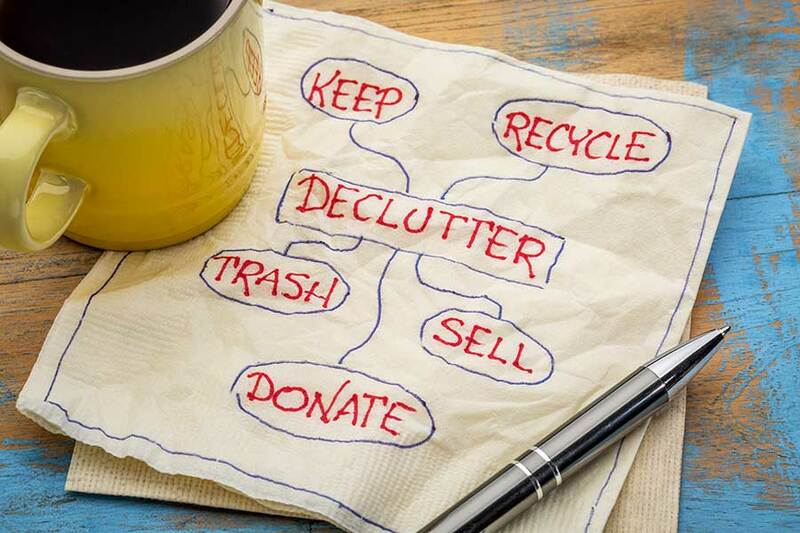 Decluttering is one of the vital stages of deep cleaning, as it allows you to see the area that you’ve got to clean. Get rid of any items that you don’t want or need, and have a good tidy. Even if you just want to give your house a good spring clean, explains Mead, having too many items around just gets in the way. Remember that some items can go in the loft, if you have one, but if they can go in the loft, are you really using them? It’s fair enough for seasonal decorations – Christmas decorations are notorious for being hidden away for 11 months of the year – but if they are everyday items that aren’t being used every day, they would probably be better off in a charity shop or at the dump. In addition, get your pathway as clean as possible. Getting rid of mud and debris from your pathway prevents it from being tracked in when you do a deep clean. She also advises that you cover major furniture where possible, particularly if you have to do any touch-up jobs. Paint splashes! Curtains can make a place look brighter, but they are traditionally a nightmare to wash. This is because they’re made of two different materials, and they are also highly prone to shrinkage – they are not designed to be washed. Various places will wash them professionally, and they will charge according to the size of the curtain. Expect to pay up to £20 for a pair of smaller curtains and up to £60 for a set of large curtains (anywhere up to 2.5 m x 2.5 m). She noted that she has used this method, but they didn’t end up as bright as they would have done had they been professionally cleaned. If you want to do any painting, now is the time to do it. You have your furniture covered or removed entirely and the curtains are gone. Any drips can be quickly removed from the floor (which should be covered in an ideal world!) and you can move about freely. If you have to paint any skirting boards and there has been a pet in the property, have a quick vacuum first. Pet hair is notorious for getting everywhere, and it may affect the quality of the finish. It’s often tempting to start with a vacuum, but if you have to deep clean the ceilings, you will have to redo the vacuuming. Using a fluffy brush, do the corners, and work along the edges. Don’t forget to do the light in the middle, and inspect the lampshade – they often need replacing. Work your way down, eliminating fingerprints – particularly around light switches – and grubby marks. You can scrub walls, but most walls do not have wear-resistant finishes. As a result, heavy-duty staining may need a repaint. Those who used a scrubbable paint will find cleaning walls a lot easier, and it’s worth paying a little bit extra for Crown Clean Extreme or Dulux Washable and Tough if you anticipate having to regularly do this. Next, work down to the skirting boards. In most cases, they will need a good scrub and perhaps an occasional touch up. Once you’re done, spray them with furniture polish and then polish off – this will give them a great shine. Carpet cleaning can be a bit of a pain, particularly in high traffic areas. However, a number of machines make this a lot easier, most notably the Rug Doctor series of machines that can be hired from a number of locations nationwide. You can buy one for £500 or so, but it’s much cheaper to hire one unless you have to clean a lot of rental properties regularly. Domestic carpet machines are generally okay, but they don’t tend to get heavy-duty staining out, even with multiple passes. Start by giving the area a quick vacuum and pick up any large pieces. Then, get your carpet cleaner out. To use any carpet cleaner, the trick is to go slow. In general, the best results are achieved when you can just see the cleaning solution start to leak out underneath the carpet cleaner as you are moving. If you have particularly stubborn stains, such as waterproof mascara, add neat cleaning solution to the stain, and scrub with a scrubbing brush. Immediately go over it with the cleaner. Laundry detergent works very well for this. 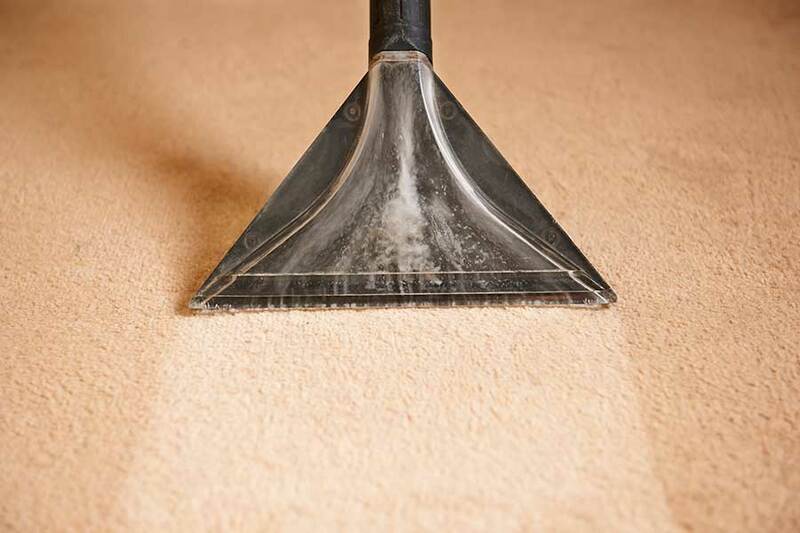 Once the carpet is clean, give it a final vacuum once it’s dried. Like the other rooms, start from the top, and work your way down. However, you also need to get surfaces as clean as possible. This can involve removing significant buildup of soap, grease and debris. Use a thick bleach on the toilet, and don’t forget to get up inside the rim. The usual caveat applies: when handling caustic solutions such as bleach, we have to recommend gloves and eye protection. With the bath, use one that is suitable for it. If it’s enamel, fill it up, and soak the stains in washing-up liquid for 30 minutes. Do not use acidic products on that bath. If it’s a standard acrylic bath, you can use pretty much anything on it, so bleach away. If you use a product designed for the bathroom, it’s more likely to remove soap and limescale. Don’t forget the skirting boards, and clean the floor with a mild bleach solution. In the kitchen, the worktops are most likely to have grease on them. Cream degreasers such as Cif stay on walls for longer, so they are the better option when you’re cleaning a stain on the wall. Liquid ones tend to run down too quickly. Make sure you get the stains from the back of the sink and just behind the cooker. Don’t forget to include the overhead fan. These can get very greasy, but fortunately, most have gratings that can be washed. Unclip them, and wash according to the manufacturer’s instructions. Many can be washed in the dishwasher, but you will find it helps to soak them in water with a heavy-duty degreaser beforehand. Alternatively, you could try Muc-Off degreaser, which is aimed at the motorcycle market. This water-based solution is very good at getting rid of grease. Scrub the front of all the units in the kitchen, and make sure you get the handles clean. Particularly ornate handles can be a bit of a pain, but you can usually take them off and soak them for a bit. The dishwasher can help get them even cleaner, if you have one. Finally, scrub the floor, and for extra shine, steam clean it, as well. 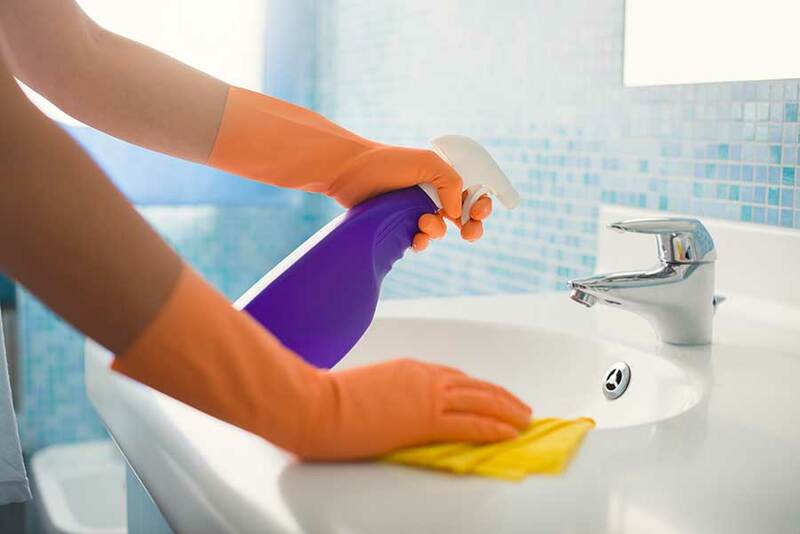 Ultimately, a deep clean makes a house look better and ready for its next occupant, but it’s also good to get the house ready for the upcoming spring and summer even if you’re not planning on moving soon. 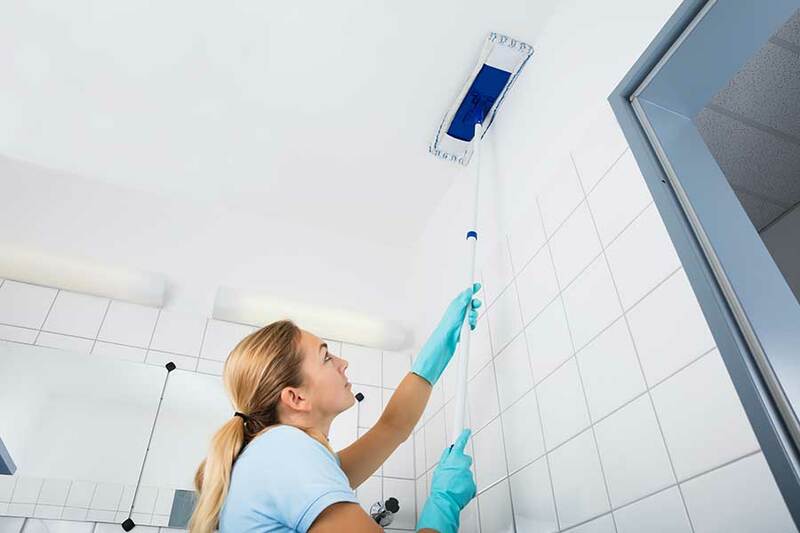 Deep cleaning your home takes a little effort, but with the right tools and equipment and good preparation, a good deep clean only takes a day or so. Then, you can enjoy the rest of the year!